...created to aid in deciphering the puzzles along life’s road, and interpreting signs in the voyages of the spirit. Brewed in homage to the wisdom of visionaries everywhere who blaze paths into uncharted territories. Our take on an India Pale Ale (IPA.) A deep golden amber ale with a rich up-front malty nose finishing with a big, hoppy bite. Dry-hopped to finish with a big fresh (Cascade) hop flavor. Fermented with our 150 year old strain of top-fermenting yeast. This one showed up in the beer fridge. I assume it was leftovers from my daughter Molly. She brought several of these home a few weeks ago. I guess I managed to hold on to one to review. 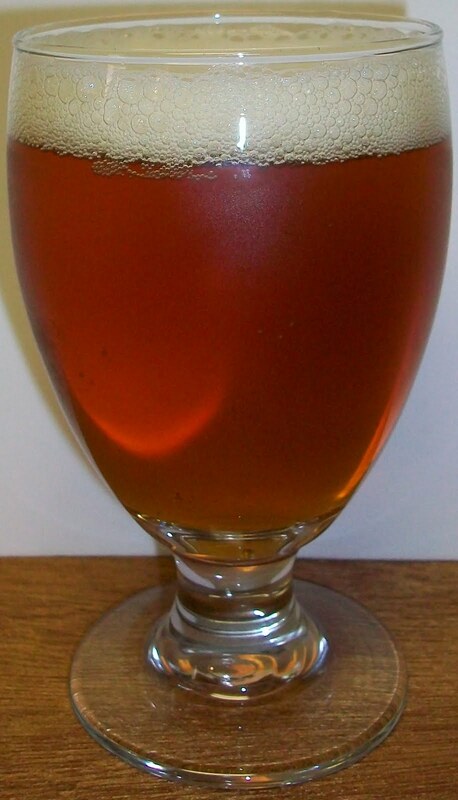 The beer pours a clear rich amber color with orange hues and an off white head. 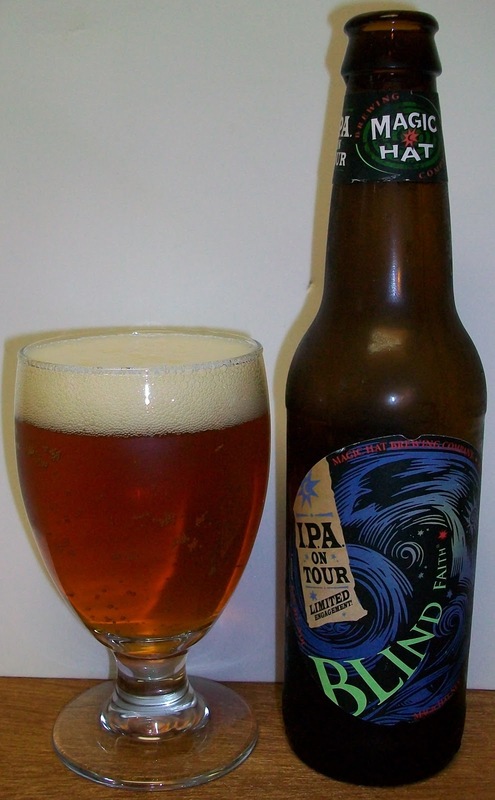 The nose is very inviting with sweet caramel almost toasted malt aromas along with a very pleasant floral hop aroma. Not a bad IPA. Sorry, that was a better reaction than it sounded. I’m not a hop head so not bad to me is probably outstanding to others. The experience starts out with a subtle sweetness up front, then a very pleasant effervescence over the tongue in the middle of the sip. There is also a slight robust hopiness building in the middle of the sip towards the back-end. The back-end is fairly easy drinking and quite refreshing. There is release of carbonation during the swallow that adds to the refreshing aspect of this beer. This carbonation also masked some of the flavors during the swallow. The finish is great! Sweet caramel malts and the most pleasant hop bite. The hops are not overpowering at all; they actually maintain a more floral note to them. There is a slight lingering bite on the aftertaste but not the typical American IPA bitterness. This is really good. Throughout the experience there is an interesting complexity. The hop bitterness in the middle of the sip is different from that on the back-end and again even more different hop experience on the finish. I love these beers that give you a complexity of experience. This is not all about the hops either. This is an expertly balanced ale. The caramel malt flavors stay with you through the whole experience. I can’t wait to see how this develops as it warms up a little. I don’t have my thermometer with me but this has to be close to room temperature by now. It warms up nicely. There are no off flavors whatsoever. It seems as if both the malt and hop flavors have intensified. It is less carbonated now so it does not have that refreshing quality to it but boy is this still good. I’m going for an A- on this one. I am really impressed with this IPA. If all IPA’s tasted like this than I could call myself a hophead. This is really one of the best IPA’s I’ve ever had. It is well balanced with sweet caramel malts and a very complex hop bitterness that is never overwhelming.